Liveright Publishing Corporation, 9781631491108, 336pp. The scarcely populated town of Sweetland clings to the shore of a remote Canadian island. Its slow decline has finally reached a head, with the mainland government offering each islander a generous resettlement package-- the only stipulation being that everyone must leave. Fierce and enigmatic Moses Sweetland, whose ancestors founded the island, is determined to refuse. As one by one his neighbors relent, he recalls the town's rugged history and its eccentric cast of characters. 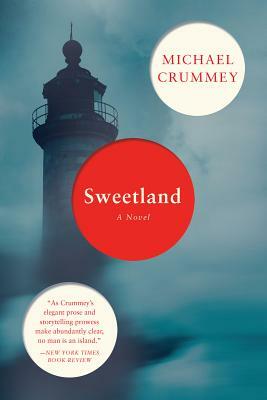 For fans of The Shipping News, Michael Crummey's prose conjures up the mythical, sublime world of Sweetland's past amid a storm-battered landscape haunted by local lore. In a spare style that belies "huge emotional depth and heart" (Celeste Ng, author of Everything I Never Told You), Crummey masterfully weaves together the past and present, creating in Sweetland a spectacular portrait of one man's battle to survive as his world vanishes around him. MICHAEL CRUMMEY is the author of a memoir, "Newfoundland: Journey into a Lost Nation," three books of poetry including "Arguments with Gravity," winner of the Writers' Alliance of Newfoundland and Labrador Book Award for Poetry, and a book of short stories "Flesh & Blood." His first novel, "River Thieves," was a finalist for the 2001 Scotiabank Giller Prize; and his second novel "The Wreckage" was a national bestseller and a finalist for the Rogers Writers' Trust Fiction Prize. His third novel, "Galore," won the Commonwealth Writers' Prize (Canada and the Caribbean) and was a finalist for the Governor General's Literary Award. He lives in St. John's, Newfoundland.